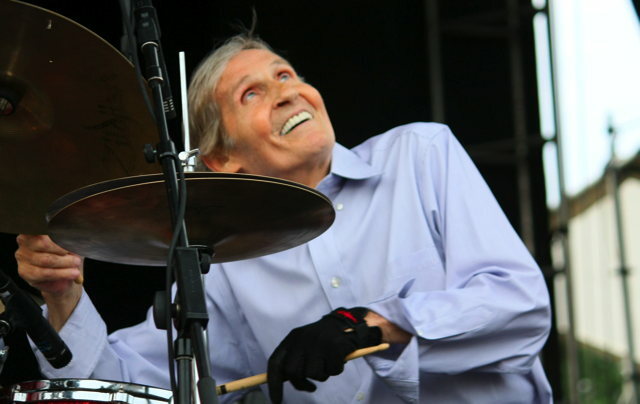 The 2010 documentary Ain’t In It For My Health: A Film About Levon Helm, will be released in movie theaters nationwide for the first time next year. The film follows longtime Band singer and drummer, as he works on 2010’s Electric Dirt, the follow up to 2007’s Dirt Farmer , the winner of the inaugural Grammy for Best Americana Album. Director Jacob Hatley shot the film over more than two years, spending time with Helm and his family at the Helm’s Woodstock, New York, home, the famed locale of Helm’s Midnight Ramble concert series. Film distributor Kino Lorber said, “It was a privilege to meet Levon at one of his last Midnight Rambles and verify personally how insightfully this music-packed film captured the generosity of spirit, the humanity and the immense talent of one of America’s greatest musical artists. We see this as a mission now to be able to open the film, and Levon’s life, to legions of fans, followers and new audiences, who will be thrilled to discover the scope and depth of his contribution. Levon Helm died on April 19th in New York of throat cancer. He was 71.